1. 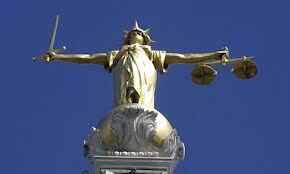 Major parts of Legal Aid Sentencing and Punishment of Offenders Act 2012 come in to force on 1 April 2013 including the severe cuts to civil legal aid provision enacted by LASPO Part 1. There is a massive amount of legal activity at the present time. Here is a roundup of some it. 1. The highly controversial Justice and Security Bill has cleared the House of Lords. All that remains is for the Bill to receive Royal Assent. Implementation will follow and bring about the extension of closed material procedures to civil proceedings. The Bill enhances Parliamentary supervision over the security services. 2. New laws for missing persons - Ministry of Justice. The Presumption of Death Act 2013 ... means relatives can apply for a certificate declaring someone as presumed dead. The certificate will be equivalent to a death certificate and means those left behind can deal with the legal and financial affairs of the missing person – for example enabling them to stop direct debits and other outgoings. The changes apply to England and Wales - bringing them into line with Scotland and Northern Ireland. 3. Crown Court at Manchester - Sentencing remarks of His Honour Judge Martin Rudland in R v Brewer are available - Judiciary R v Brewer and see the earlier post of 11th February. The earlier post Regulation of the Press (1) noted the importance of freedom of expression in a democratic society. Following on from the Leveson Report, a model for press regulation of a Royal Charter on Press Regulation plus statutory elements emerged. Another post - The path to censorship of the media - contains links to various materials which were collated at the time when information was emerging as to how it was proposed to regulate the press. An addition to the Enterprise and Regulatory Reform Bill stating: "Where a body is established by Royal Charter after 1 March 2013 with functions relating to the carrying on of an industry, no recommendation may be made to Her Majesty in Council to amend the body's Charter or dissolve the body unless any requirements included in the Charter on the date it is granted for Parliament to approve the amendment or dissolution have been met." 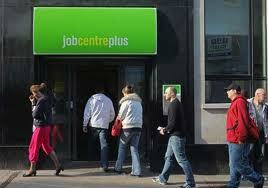 The government (Department of Work and Pensions) has introduced the Jobseekers (Back to Work Schemes) Bill ('the Bill'). The Explanatory notes are helpful in explaining what lies behind this Bill - see Explanatory Notes. The notes have been prepared by the Department for Work and Pensions to assist the reader of the Bill and to help inform debate on it. They do not form part of the Bill and have not been endorsed by Parliament. 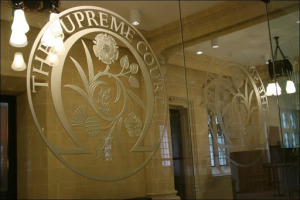 In R (on the application of Reilly and Wilson) vs Secretary of State for Work and Pensions  EWCA Civ 66 the appellants - Caitlin Reilly and Jamieson Wilson - challenged the lawfulness of the Jobseeker's Allowance (Employment, Skills and Enterprise Scheme) Regulations 2011 ("the ESE Regulations"). Their challenge was successful. The effect of the Court's judgment is that the Department for Work and Pensions had no right to impose a sanction on claimants who had failed to meet their requirements. The Bill has been introduced to reverse the effects of the Court of Appeal's decision and it is being 'fast-tracked' through Parliament. 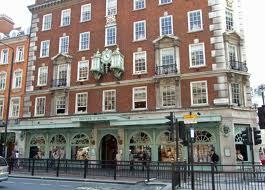 On 26th March 2011, around 130 UK Uncut supporters protested against tax avoidance on the part of large companies by occupying Fortnum and Mason's shop in London. The actions of the protesters were criticised by some politicians. Boris Johnson stated on BBC Question Time that the protesters had 'stormed' the building, 'terrified staff' and 'upset customers' and had caused 'tens of thousands of pounds' of damage. A police Chief inspector persuaded the protesters to leave, via a specified route. The protesters were arrested. At subsequent trials, some were acquitted whilst others were convicted. 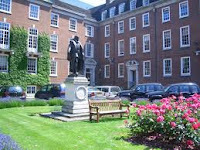 P-S (Children)(Care Proceedings: Evidence)  EWCA Civ 223 is an interesting case - Full judgment and ICLR Report. It concerned care proceedings in which a 15 year old child (M) wished to attend court to give evidence in support of his case to return to the care of his Mother. M felt that the strength of his feelings were not fully understood and he wanted an opportunity to talk to the judge about his views. The judge (Her Honour Judge Parry) declined and M (and his younger brother A) were placed into care. An interesting week in the Supreme Court . The court (with reluctance) held that it may sit in closed session to consider a 'closed judgment' of the lower court and the next day did so. Also, there was an interesting decision on defences under section 1(3) of the Protection from Harassment Act 1997. (Quote) The substantive appeal in this case relates to whether directions made by the Treasury under Schedule 7 of the Counter-Terrorism Act 2008 were in breach of, inter alia, the rules of natural justice, and/or Article 6 ECHR, and/or the procedural obligation in A1P1 ECHR. 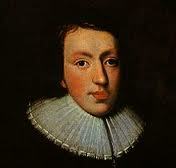 John Milton, Areopagitica (1644) wrote - "Give me the liberty to know, to utter, and to argue freely according to conscience, above all"
It should be a trite observation that a free press is a vital component of a democratic, liberal nation. 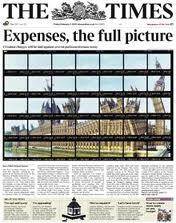 Lord Bingham stated - "The proper functioning of a modern participatory democracy requires the media be free, active, professional and enquiring" - McCartan Turkington Breen v Times Newspapers  4 All ER 913, 922. Update 1 ~ Other links etc. The goal must be a genuinely independent and effective self regulatory system. I have therefore set out, and recommend a model for independent self regulation that I am confident would protect both the freedom of the press and freedom of speech along with the rights and interests of individuals; it should therefore command public confidence." Dominic Sandbrook, writing in the Daily Mail 17th March, presents a powerful argument against media regulation - For centuries men and women fought and died for freedom of expression. Who are Miliband and Clegg to throw it away? Sandbrook argues that many matters of enormous public concern would not have received publicity if media regulation had been in place - e.g. 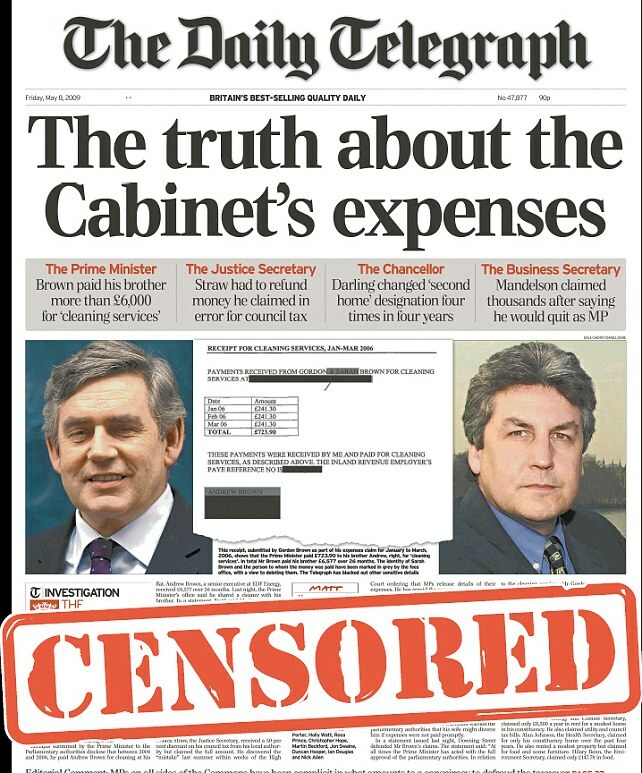 The Daily Mail naming those it considered guilty of the Stephen Lawrence murder, the expenses scandal in Parliament, revelations about corrupt police officer Dizaei, Huhne's speeding points etc. BOGOF = .... well, I'm sure that the reader is well able to work that one out !! 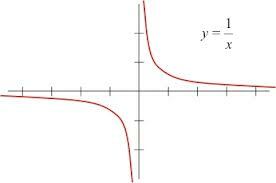 The logic of the equation is that it will not be financially worthwhile for lawyers to pursue a career in criminal law. Eventually, individuals charged with serious offences will be lucky to receive any form of professional advocacy. The Crime and Courts Bill is important. It started its progress through Parliament in the Lords and is now approaching the end of its consideration by the Commons. Recently, Theresa May (Home Secretary) expressed her exasperation at the European Convention on Human Rights preventing her deporting 'foreign criminals' - that is non-British nationals who have been sentenced to at least 1 year of imprisonment. She was clearly angered by the decision in Izuaza - discussed in my earlier post of 20th February. Here, the judges made it clear that the revised Immigration Rules, albeit debated in the Commons, were not legislation. The Rules could not in any way override the requirement, under the Human Rights Act 1998, for the judges to apply convention rights including rights such as Article 8 (Right to respect for private and family life). 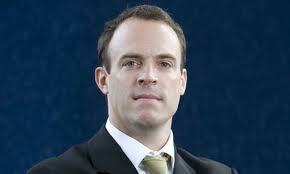 An amendment to the Crime and Courts Bill has been 'tabled' by Dominic Raab MP (pictured). The amendment appears to have some considerable support in the Commons. The recent case of Hawes v Burgess  EWCA Civ 74 illustrates the high financial cost of litigation relating to wills. The Court of Appeal upheld the trial judge's finding that the deceased's last will, in which the testatrix cut out her her son, was invalid and that an earlier will, by which she left her estate equally between her three children, was valid. "The cost of contesting the 2007 Will is a calamity for this family in every way. 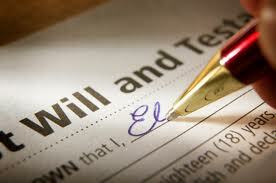 By the standards of a present day probate case the Deceased's estate is modest, less than £200,000. We were told in general terms that efforts to achieve a family compromise came to nothing, though, of course, details of the "without prejudice" negotiations have not been disclosed. The failed negotiations mean that the estate will become, if it has not already become, worthless. A 6 day trial with 26 witnesses does not come cheap. Now there is this appeal. It may be recalled that the foggy family law suit in Jarndyce v. Jarndyce dragged on before the Lord Chancellor for generations until nothing was left for the parties to take. The Civil Procedure Rules and the efforts of legal advisers have not dissuaded these parties from following a course leading to the dissipation of the whole of the deceased's estate in costs and legal fees, which has happened faster than under the dilatory procedures of the unreformed Court of Chancery in the Jarndyce days." Theresa May recently said that it was her job to deport foreigners who commit serious crime. 1. May makes some serious constitutional points in that (a) she accepts judicial review by independent judges; (b) human rights are an essential part of any decent legal system; (c) Article 8 of the European Convention is a qualified right which may be restricted on, for example, public safety grounds. The Court of Appeal (Criminal Division) has handed down its judgment in Coley v R; McGhee v R and Harris v R  EWCA Crim 223. The court comprised Hughes LJ (soon to be a Supreme Court Justice) and Hickinbottom and Holyrode JJ. The case was concerned with the interplay between the rules of criminal law relating to voluntary intoxication and the rules relating to insanity or (non-insane) automatism. Access to justice requires that each party to any form of litigation is able to properly put their case. The modern legal system is complex and the law exceptionally so. Even finding out the latest text of an Act of Parliament is very difficult since publicly funded legislation websites frequently lag well behind numerous amendments. To understand how the courts have interpreted (or may interpret) an Act requires deep legal knowledge and experience. True access to justice therefore demands professional legal representation of a standard appropriate to the difficulty of the case. Clearly, the most complex cases require none but the very best lawyers. Vicky Pryce - former wife of ex-Minister Chris Huhne - has been convicted of perverting the course of justice in that she took speeding points which should have applied to her husband - The Guardian 7th March 2013. Amazingly, the offence took place 10 years ago ! She was convicted at a retrial, the jury at the first trial having failed to agree. The first trial provoked massive publicity suggesting that the jury system did not have a future. The second trial surely shows that trial by the combination of judge and jury continues to have value. Those who advocate its demise should be careful what they wish for. Law and Lawyers - The Jury. An article published by Open Democracy highlighted the fact that, in the 21 months up to December 2012, 43960 strip searches took place of children and young persons. Two years ago this month, the Youth Justice Board (YJB) announced the end of routine strip searching in children’s secure establishments. (View its press release here). Despite the promise to move to risk-based strip-searching, official data shows thousands of locked up children are still being forced to expose their naked bodies to adults in authority. The Declaration adds flesh to the words "fundamental freedoms" and "human rights" appearing in the United Nations Charter. The Charter is binding on all member states. 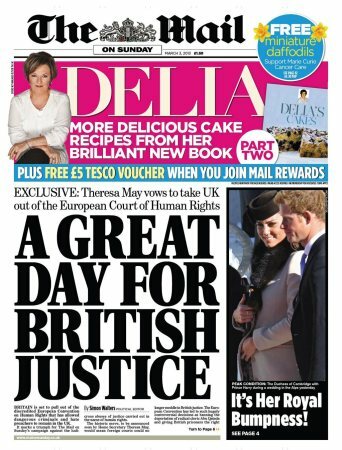 The Mail on Sunday (3rd March) was thrilled to announce that Theresa May vows to take UK out of the European Court of Human Rights. 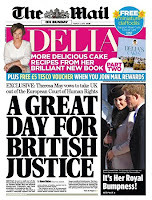 The newspaper claimed that this marked a triumph for their campaign 'against the ludicrous abuses of justice carried out in the name of human rights.' This move would mean 'foreign courts could no longer meddle in British justice.' It seems that this may become a Conservative Party manifesto promise to be implemented if the Conservatives win an overall majority. Of course, politics are at play here given the UK Independent Party's appeal in the recent Eastleigh by-election - actually won by the Liberal Democrat candidate. Withdrawal from the European Court of Human Rights is not an option without withdrawal from the European Convention on Human Rights and, almost certainly, the 47 member Council of Europe (which the UK helped to form). Such a move would be very likely to send out an alarming message that the United Kingdom has turned its back on the international human rights movement. That would damage the UK's standing in the world.